Kia Motors UK has appointed David Hilbert as marketing director, replacing Mark Hopkins who left earlier this year. He will join the Japanese automotive firm on 1 September from Toyota GB where he was general manager of vehicle marketing for three years. Prior to that, he held marketing, sales and purchasing roles at the company. Philippe Dauman, the president, chairman and chief executive at Viacom, has resigned following a $72m (£55.2m) settlement. Dauman, who was appointed chief executive in 2006, will remain as non-executive chairman until 13 September. Thomas Dooley, the chief operating officer, will replace Dauman temporarily, until the end of September. According to the BBC, the resignation follows a power struggle between Dauman and Sumner Redstone, the controlling shareholder at Viacom. Redstone had opposed Dauman's decision to sell Viacom's stake in Paramount Pictures. Mcgarrybowen London has revamped its planning department with the appointment of Rory Gallery and Chris McKibbin as joint heads of strategy. The pair join from Abbott Mead Vickers BBDO and Adjust Your Set respectively. They become Mcgarrybowen’s most senior planners following the departure of Kevin Chesters, who left earlier this year to become chief strategy officer at Ogilvy & Mather. News UK has raided rival Trinity Mirror to poach Mark Field, the director of invention, to head a new branded content division, The Bridge Studios. Field held a similar role at Trinity Mirror where he founded and led the invention team, which focuses on branded content and sponsorship, particularly online and in mobile. He has been at the publisher of The Daily Mirror since 2005. Possible has poached McCann London’s Max Chanan to work as creative director at the WPP digital agency as part of six new creative appointments. Chanan joined McCann last year from AKQA as creative director, and will be supported by Swedish creative duo Christian Odelmalm and Jesper Ellesson. Rita Bourma has also joined Possible as user experience designer, moving from fashion retailer, Net-A-Porter. Designer Renato Campana joins as design director, from Isobar in Brazil, where he worked with Fiat, Jeep and on the 2016 Rio Olympic Games. Stuart Thorne has also taken up the role of creative technology director after freelancing at the agency. Soul has hired Pete Williams and Chris Day as creative leads. 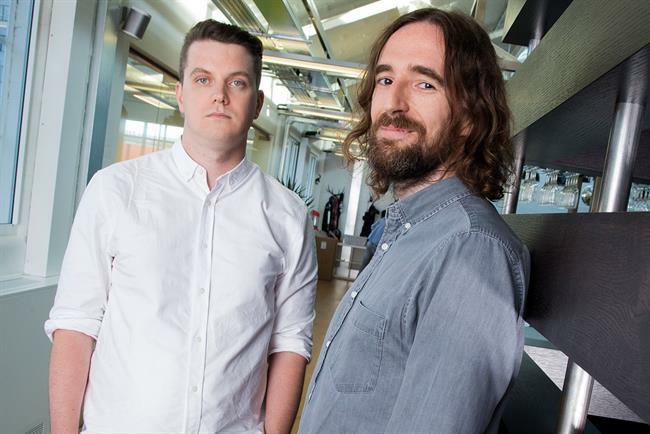 Williams and Day have been a creative team for 14 years and join the agency from MRM Meteorite where they were creative group heads on P&O Ferries, Churchill and Vauxhall. They will work across all of Soul’s accounts and will report into Soul’s founding partner and creative director Shaun Moran. Rapp has appointed Andy Barwood as creative partner to help lead the UK’s creative output across the agency including its data, technology and media offering. Barwood will report to the UK’s executive creative director, Ben Golik. Barwood was previously creative partner at Indicia where he led campaigns for Nissan, Majestic and Carluccio’s. Before that he worked as creative partner at Karmarama. DigitasLBi has appointed Emily Macdonald to the newly-created role of head of programmatic. Macdonald will be tasked with developing DigitasLBi’s programmatic capabilities across the whole agency. She has spent 18 years working in digital media and adtech, Macdonald's roles span WPP, News UK and Microsoft. Most recently, she spent two years working as an independent consultant, advising Ebiquity and Global Radio on digital technology and data investments. Minimart has appointed Brent Gosling as the agency’s first strategy partner. With over 25 years of experience in the industry, Gosling will play a key role in defining the strategic offering, with a focus on the company’s ‘fierce thinking’ approach. Pulse Films has appointed two senior executives in its branded entertainment division. Eric Tu, based in New York, and Stephen Whelan, based in London, will assume executive producer positions at Pulse, effective immediately. Working alongside the teams in their respective territories both Tu and Whelan will be responsible for expanding the company’s creative, strategic and production capabilities in the branded entertainment space. Most recently, Tu collaborated with R/GA and Mindride as head of content development for the Ad Council’s, Love has no labels. Whelan will join the division out of Pulse Films’ London headquarters, leaving his role as founder/executive producer of Blink Productions’ hybrid agency, White Lodge TV. Marketo, the leading provider of engagement marketing software and solutions, has promoted Chandar Pattabhiram to senior vice president and chief marketing officer. The appointment follows the decision of Marketo CMO Sanjay Dholakia to leave the company in order to spend more time at home with his family. Pattabhiram, who was previously group vice president of marketing, will report to chief executive Phil Fernandez and sit on Marketo’s executive staff. Pattabhiram was previously with gamification company Badgeville, where he oversaw its worldwide marketing efforts. Chris Maples, former chief revenue officer at BigBalls and VP Europe at Spotify, has joined the Ealing-based Met Film School as its chief executive.